Sometimes it's hard to find two items that go well together. For example, I'd like to thank the person who discovered peanut butter and jelly sandwiches, because without them I wouldn't get to experience the delightfulness that is PB&J pretty much every day for lunch (yes, I still take pride in the fact that I eat PB&J's like a 12 year-old — don't hate). Two other things that complement one another are Benedict Cumberbatch and photobombing. Similar to his role as the title character on Sherlock and his acting in many movies like The Imitation Game, Cumberbatch is the master at photobombing. You're probably thinking, "I already know this." First, I'm so glad that you do. Second, does it ever get old talking about Cumberbatch and his photobombing ways? No, it does not. 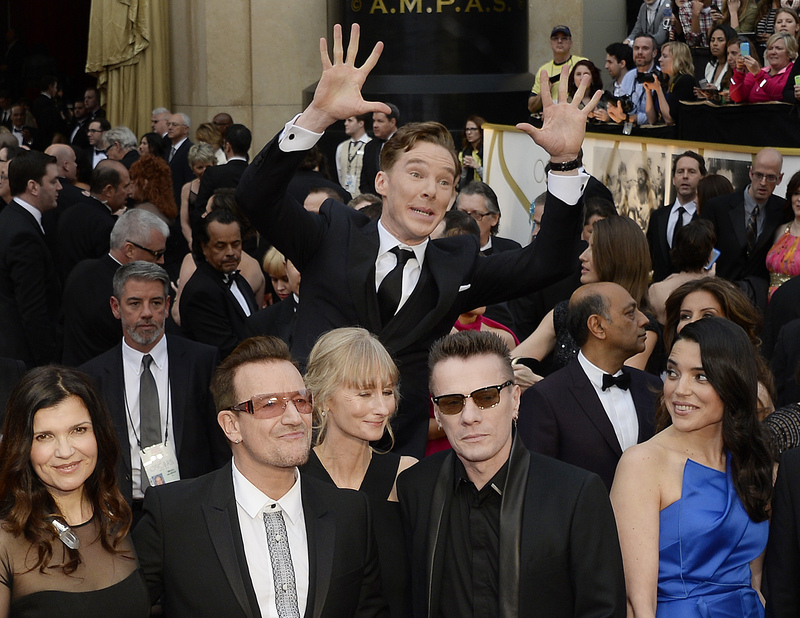 So let's celebrate the rock star that is Cumberbatch and his photobombing talent. For those unaware, photobombing is when someone jumps in a photo and ruins it unexpectedly. Actually, it should probably officially be renamed "Cumberbatching" or "Cumberbombing." I have the utmost confidence that it will happen one day. Anyways, back to celebrating these two great things that go together like Cumberbatch and Hiddleston being BFFs. Here are some of Cumberbatch's best photobombs, including both real and fake ones. Let me say you're welcome in advance — you're welcome! This will forever be Cumberbatch's most famous photobomb. Does it really need an explanation? Ellen DeGeneres' Oscar selfie pretty much won the entire evening, but Cumberbatch also won for jumping into Ellen's picture with Chiwetel Ejiofor and Brad Pitt. No one wears a bow tie while photobombing like Cumberbatch. Sorry, Michael, but Benedict is here. These two have the best friendship. What a good friend Sherlock is to Watson — and his mustache. John, Paul, George, Ringo, and Benedict! The amazing photobombs go on forever. Thank you, Benedict. Thank you.